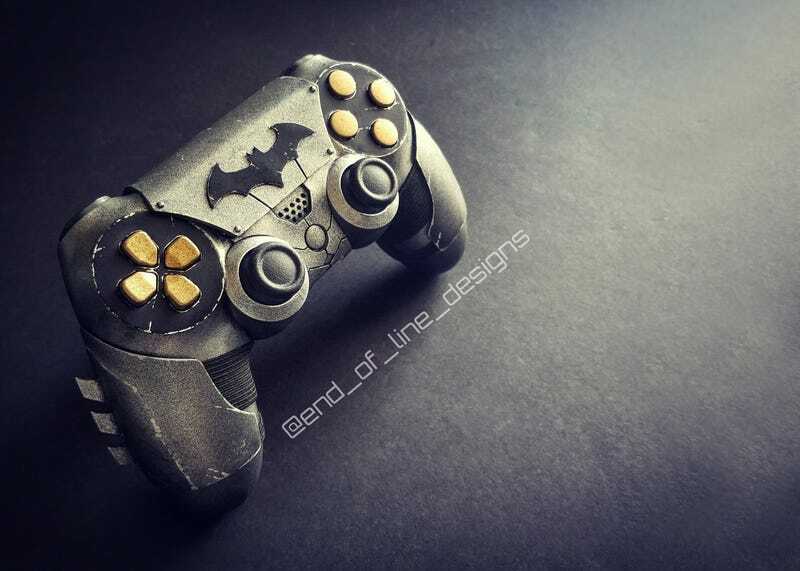 Kotaku regular Devin Smith, aka End of Line Designs, is back with another custom video game controller redesign, this time turning a DualShock 4 into something Batman would throw at a bad guy’s face. This pad has a retractable “cowl” for the touchpad, a busted-up finish to match Batman’s battle damage and some trademark spiky armguards (though those are just for show, they can be removed to actually use the controller). You can see more of Devin’s work at his Facebook page.